‘Just Us Box’ is a monthly subscription date night box company. They are revolutionising date nights. Just Us Box want you to spent some quality time with your partner each month. Where you both put down your phones and spend some time reconnecting with each other. Each month Just Us Box will send you a themed date night box straight to your door. So, all you have to do is pick a night that suits you and enjoy a date. Our ‘Lovology’ date night box arrived in perfect time for Valentine’s day. This box was all about cocktails and gin, two things we both love. 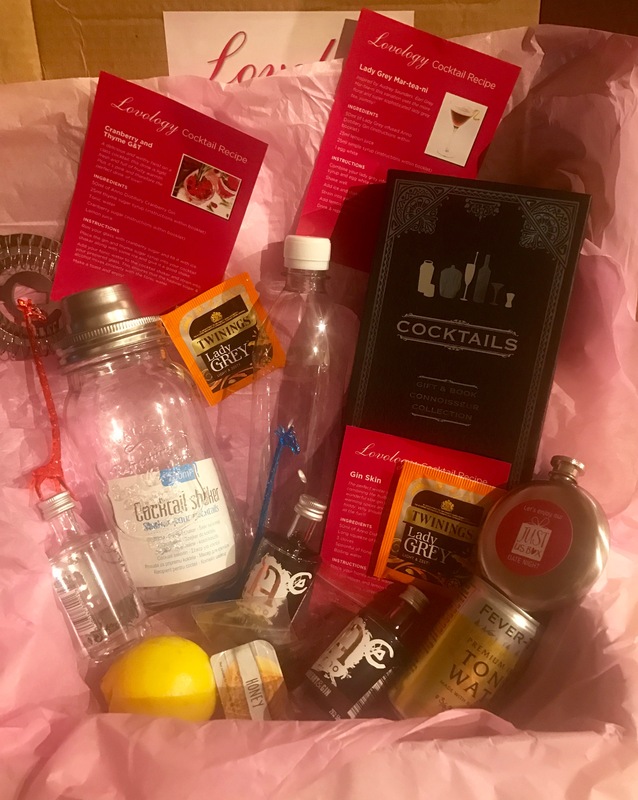 It contained 3 mini bottles of gin, a cocktail shaker, a spin the bottle game, a small hip flask and various herbs and flavourings for the cocktails. As the Hubby and I met while working in a bar that specialised in cocktails, I already had an idea of how to mix a mean cocktail. Luckily I had opened up the box before the date night and had a read of of the date night plan. If I had not have done, I wouldn’t of known about infusing the dry gin or making up sugar syrups. 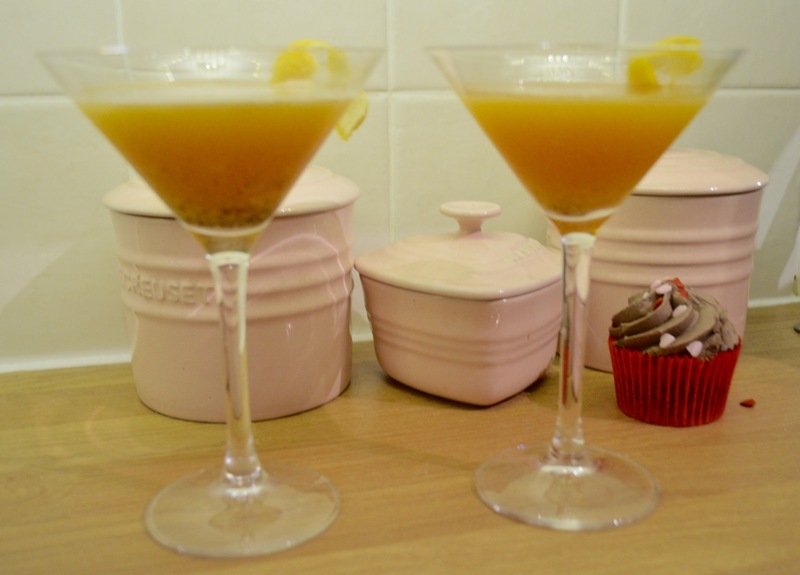 Having read how to do this in the date night plan, I found the sugar hiding in the cupboard and made up the thyme sugar syrup and the lady grey sugar syrup. Leaving them both in the fridge overnight to infuse. I then opened up the dry gin and added the lady grey tea leaves and left to infuse over night. combine your lady grey gin with lemon juice, sugar syrup and the egg white in your shaker. add ice and shake again – this will chill the cocktail down. strain into your cocktail glass. We used Martini glasses but if you don’t have any then any glass would do. It was a yummy sweet cocktail, with hints of bergamot and citrus flavours. Followed by the warming feeling of gin. I wish I had enough to make another. We had this along side our starters of seafood. While the main course was cooking I made up the ‘Cranberry and Thyme G&T’. Rim your glasses with cranberry sugar and fill it up with ice. place the gin and thyme sugar syrup to your cocktail shaker. I made this up in a martini glass as, just because I love they way cocktails look in these glasses, although a long glass would have been perfect. First tasting this cocktail at first was very very sweet, but delicious. That cold sweet cranberry flavour which a hint of thyme was really lovely. Quite a surprisingly nice combination. We had this along side our main course of turkey poulets and vegetables. On to the final cocktail, which I have to say I only made for the hubby as I don’t like the flavour of cloves, it reminds me too much of mulled wine which I cannot stand. top with boiling water and stir until the honey is dissolved. allow to cool before adding the the sloe gin. I followed the instructions, more or less, however disaster struck when I heard a crack and my lovely glass mason jar split in two. The honey and hot water went everywhere. Clearly, my glass jars are not heat resistant like I thought. Luckily I had some more honey in the cupboard and hadn’t used any of the sloe gin already. The hubby loved the ‘Gin Skin’ cocktail said it reminded him of winter nights in front of the fire. I’m a Prosecco lover, so with the left over sloe gin (I wasn’t giving my half up for the hubby) I made up a lovely Prosecco cocktail. It’s simple, just put the sloe gin in the bottom of a champagne flute and float the the Prosecco over the top. Using a little tip I learnt in the bar; Pour the Prosecco over the back of a teaspoon which is held just above the Gin. The Prosecco floats on top, giving you a lovely layered effect. It tasted amazing! As we both love cocktails this was a great date night for us. I enjoyed that I made up all of the cocktails and the Hubby enjoyed drinking them. He did help clear up the mess I made when the glass broke though. I usually make a mess so i think he was prepared! This month Just Us Box helped with a marriage proposal, so if you have any special requirements they will go out of their way to help out as much as possible. The March date night box is ‘Wilderness’ I have no idea what to expect but I can’t wait for it to arrive. If you fancy trying next months ‘Wilderness‘ box, then make sure you place you order. 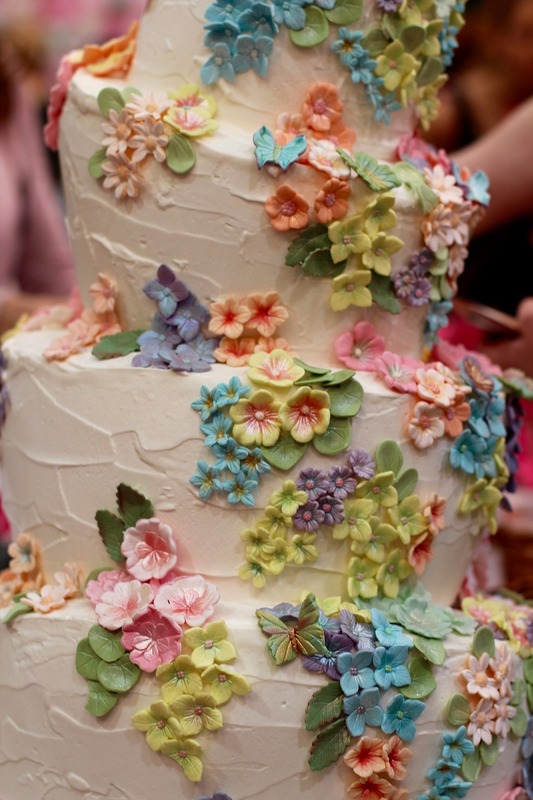 Wedding cakes are becoming more and more elaborate. Gone are the days of a 3 tiered fruit cake, held up with pillars, fresh flowers and a plastic bride and groom on top. 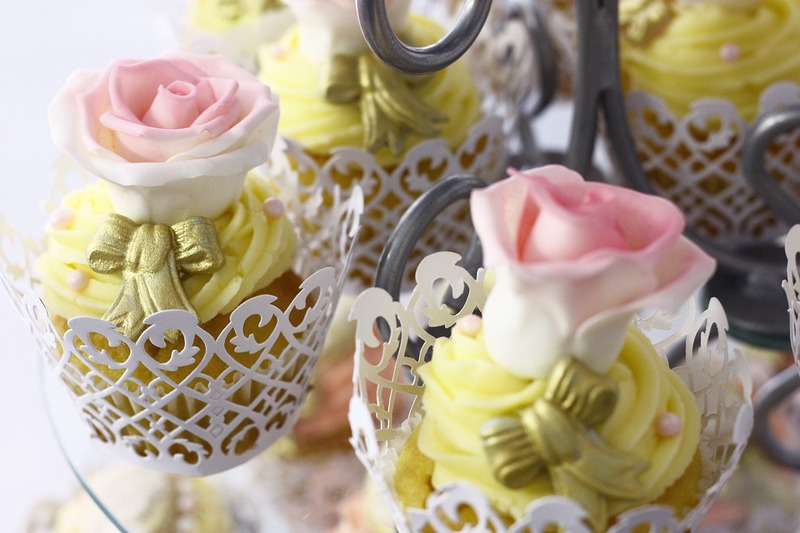 There are so many different flavours, shapes, sizes and colours of wedding cakes available. Choosing your perfect cake is a yummy mine field all on it own. Often brides and grooms have a very clear idea of either flavour or style. However turning up at your cake makers to be greeted with flavours you never thought about, can be a little overwhelming. I have put together my top 10 flavours for wedding cakes. Personally I am chocolate lover. When we first went to look at cakes we had a 3 tier chocolate cake in mind, covered in chocolate twirls. However, when the quote came back for £600 my husband nearly keeled over! In the end we had an 8 inch chocolate cake covered in a rich chocolate ganache, sat on top of 70 chocolate ganache cupcakes. The cupcakes were served as dessert with strawberries and fresh cream. When we married it was very popular. Chocolate with a chocolate ganache filling. Classic Victoria sponge with fresh cream and strawberries. Lemon cake with a vanilla mousse. Red Velvet with a chocolate mousse. Chocolate with a raspberry mousse filling. Champagne infused cake with fresh strawberries and cream. Red Velvet with cream cheese. 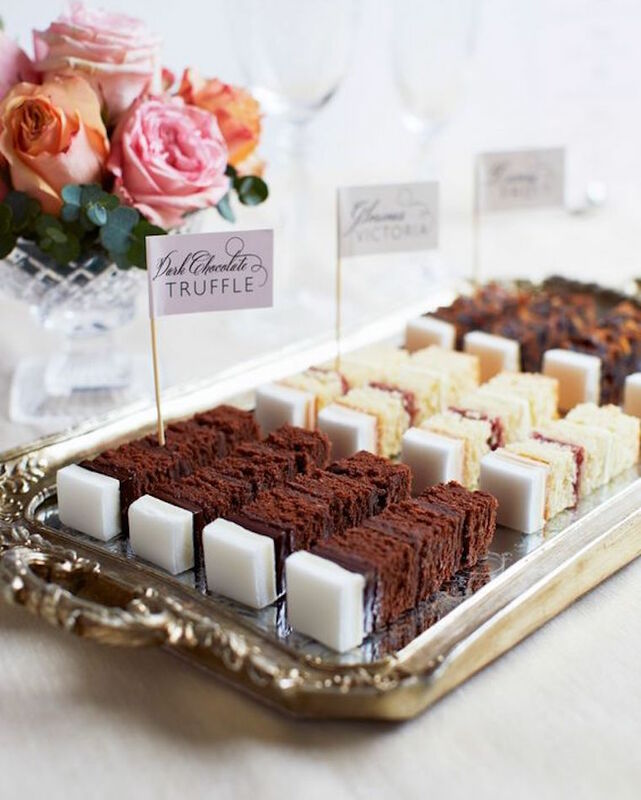 Every good wedding cake specialist will be able to provide you with samples to try so you know just how the cake will taste and what the texture will be like. The last thing you want on your wedding day is to find the cake doesn’t quite live up to expectations. So make sure you try before you buy, to be sure you get what you want. 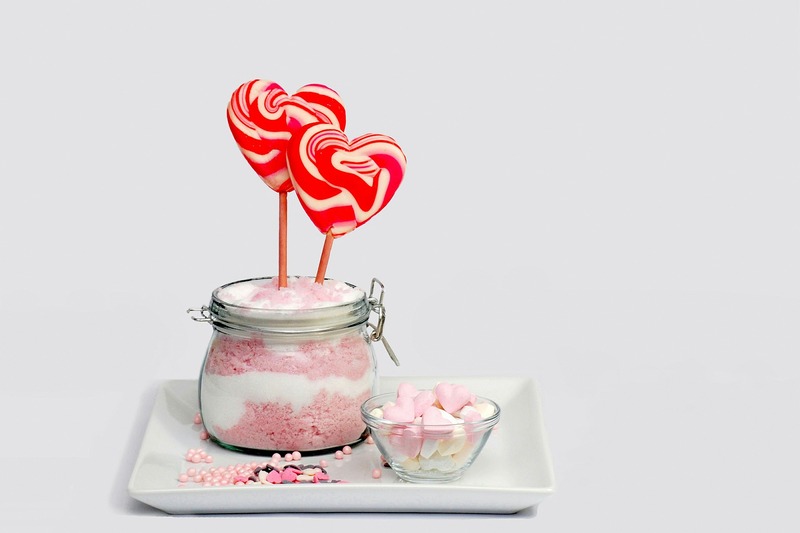 If you and your husband-to-be are unable to decide on one flavour why not have different tiers with different flavours? What is your favourite flavour cake? Mine’s a chocolate cake…. yummy! 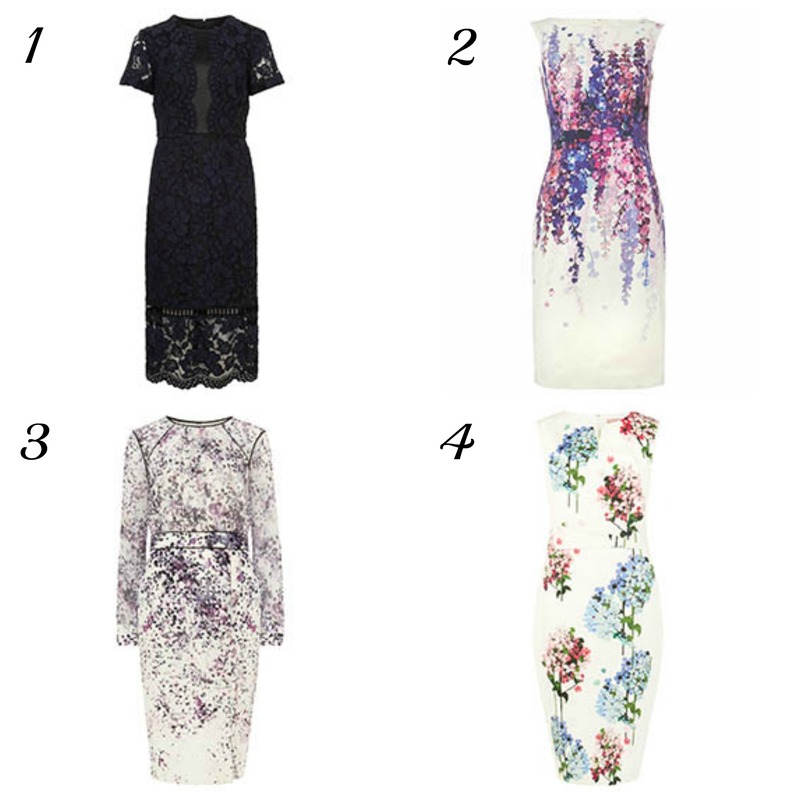 Are you attending a wedding this Spring and looking for the perfect dress to wear? I always find that Spring weddings are quite difficult to dress for. You never quite know what the weather will be like. It could be a beautiful warm day, a chilly day or even raining. You just never know so dressing to accommodate all these possibilities isn’t easy. 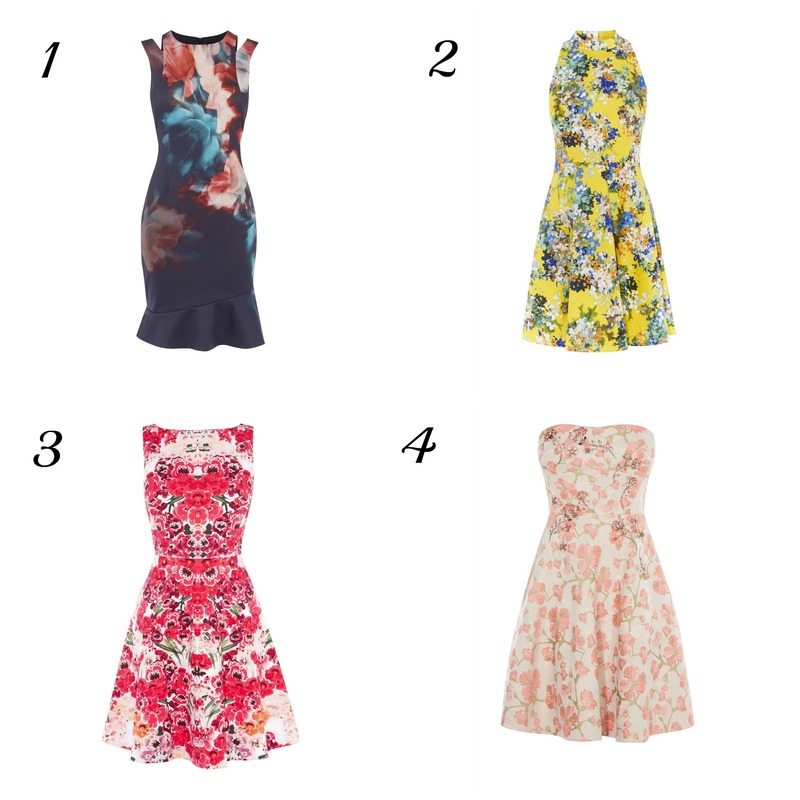 I’ve put together my top pick of dresses for a Spring wedding, they are all available on the high street now. 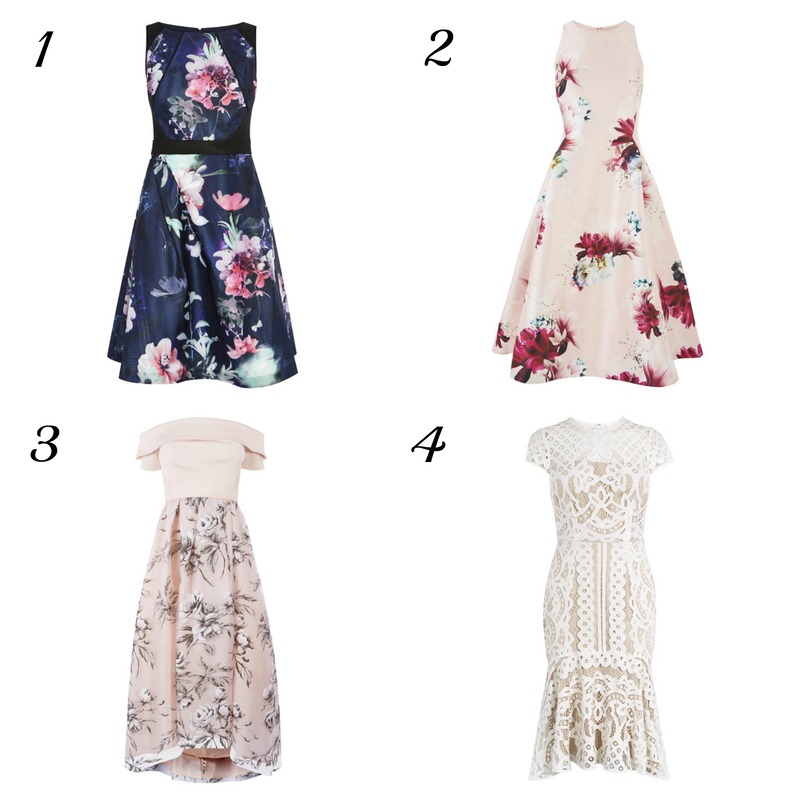 I think my choices of Spring 2017 dresses are all perfect for a wedding or even a day at the races. There is something here whatever your shape and style. All you need to do is add a beautiful pair of shoes, a lovely clutch bag and a fascinator for your hair, not forgetting a wrap or shawl to keep off the chill. Then you are all set for a wonderful day. But what if it rains? Well, any true gent would offer you his jacket or at the very least have an umbrella to hand. What do you think to my top picks? I think my favourite is the Yaya Bardot. It’s a maxi dress, with a dipped hem. 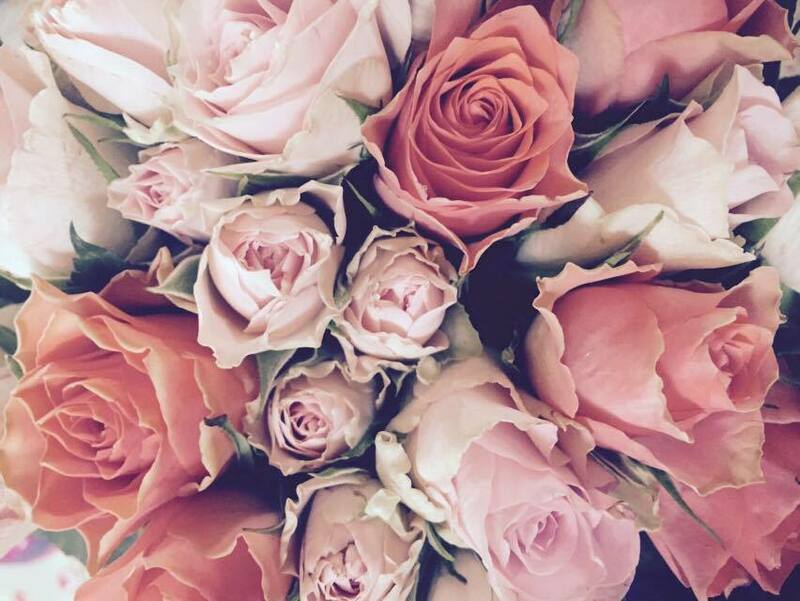 The shade of blush pink is very on trend for this season. Saying that, I love them all.